WW3 - What are the Protocols of the Learned Elders of Zion? In the interests of keeping this explanation brief, I have provided highlights only in the chequered and colorful history of The Protocols. For a more detailed discussion, please refer to the book Waters Flowing Eastward by Mrs L. Fry. In 1884 the daughter of a Russian general, Justine Glinka, was in Paris obtaining secret political information to be communicated back to Russia. She employed a Jewish assistant, Joseph Schorst, a member of the Miz-raim Lodge in Paris. Schorst offered to obtain for her a document of great importance to Russia, on payment of 2,500 francs. She forwarded the French original, accompanied by a Russian translation, to the Tsar in St. Petersburg, but it was suppressed by those under obligation to wealthy Jews. The Tsar never received it, and Glinka was eventually banished to her estate in Orel. Meantime, through Jewish members of the Russian police, minutes of the proceedings of the Basle congress in 1897 had been obtained and these were found to correspond with the Protocols. In January 1917, Nilus prepared a second edition, revised and documented, for publication. But before it could be put on the market, the revolution of March 1917 had taken place, and Kerenskii, who had succeeded to power, ordered the whole edition of Nilus' book to be destroyed. In 1924, Prof. Nilus was arrested by the Cheka in Kiev, imprisoned, and tortured; he was told by the Jewish president of the court, that this treatment was meted out to him for "having done them incalculable harm in publishing the Protocols". Released for a few months, he was again led before the GPU (Cheka), this time in Moscow and confined. Set at liberty in February 1926, he died in exile in the district of Vladimir on January 13, 1929. The Protocols gained widespread recognition upon their translation into English, in 1920. They soon became notorious. Esteemed newspapers such as The Times and The Morning Post (whose Moscow correspondent Victor E. Marsden was responsible in 1921 for the translation used in this document) covered the story in numerous articles, much to the chagrin of world Jewry, who immediately began the propaganda bandwagon rolling. They not only denied that the Protocols were a Jewish plot, but also that there was any plot whatsoever. The latter was quite clearly false to all educated men and women of the time. "Probably so much money and energy were never before in history expended on the effort to suppress a single document." The period of 1920 "marks the end of the time when the Jewish question could be impartially openly discussed in public." (Douglas Reed -- "The Controversy of Zion"). >The Protocols of Zion - Fraud or Genuine? There have been many attempts to discount The Protocols as a fraud, and the fact remains that there is no documentary proof that the Protocols of the Elders of Zion are what they say they are. Allegations of forgery and fraud have dogged their public history. However, despite many opinions to the contrary, the documents have never been categorically proved to be fraudulent. Besides, why would an anonymous document be forged?& See The Protocols - a Neocon Manifesto. (with thanks to an anonymous emailer, identified only as 'An American'). The fact also remains that since the apparent publication, world events have unfolded exactly according to their description - surely this should be proof enough that a plan such as the Protocols exists? The only statement I care to make about the PROTOCOLS is that they fit in with what is going on. They are sixteen years old, and they have fitted the world situation up to this time. THEY FIT IT NOW. We are gradually being mobilized into a New World Order. The One World Government is being facilitated by the gradual movement of nation states into larger power blocks such as the European Union and NAFTA etc. The United Nations has come into power as a global police force under the excuse of being a protector and benefactor of the world, exactly as outlined in the Protocols. The Jews have symbolically "returned to Palestine", as the State of Israel now exists as the official universal "homeland" of all Jews, despite the vast majority of Jews having no racial connection with Israel whatsoever. It is my belief that rather than being the plan of Jewish leaders to control the world as many believe, this document is really the Grand Plan to create the One-World Government, Economy, and Satanic religion known as the New World Order. The reason it was written as a thin veneer of a Jewish conspiracy to conquer the world for their Messiah, was so that the document would be thoroughly discredited, and forgotten. Once the vast numbers of the peoples of the world had discredited the Protocols, the Grand Plan could be used quite freely as a blueprint on how to achieve global government, religion, and economy. 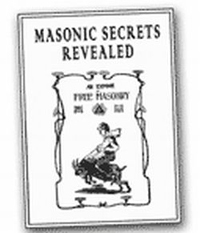 The Protocols of the Learned Elders of Zion is the most blatantly Satanic document in world history! It systematically lists all the steps that are necessary to establish the New World Order and its ultimate leader. It is obvious that these plans for the establishment of the New World Order are so brilliantly conceived and written, they could only be the work of supernatural Guiding Spirits through Automatic Writing. The world ruler will be the patriarch of an international church. Let us now examine some pertinent quotes so you may become familiar with the type of plans The Protocols set forth, thus allowing you to more accurately understand why we believe so strongly that the Planned Third World War is almost upon us. Remember, The Protocols are at least 100 years old. "In a word, to sum up our system of keeping the governments ... in check, we shall show our strength to one of them by terrorist attempts and to all, if we allow the possibility of a general rising against us, we shall respond with the guns of America, or China ..." [Protocol #7 -- World Wide Wars, Paragraph 6]. Global Terrorism is obviously the "artificial threat" created to achieve the New World Order. Expect to see more and more warnings and terrorist activities in America. ... we must create ferments, discords and hostility ... by our intrigues we shall tangle up all the threads which we have stretched into the cabinets of all States by means of the political, by economic treaties, or loan obligations. In order to succeed in this we must use great cunning and penetration during negotiations and agreements, but, as regards what is called the official language, we shall keep to the opposite tactics and assume the mask of honesty and complacency. In this way the peoples and governments of the gentiles, whom we have taught to look only at the outside whatever we present to their notice, will still continue to accept us as the benefactors and saviors of the human race. Further, The Protocols of the Learned Elders of Zion, tells us that the citizen will not be able to trust in anything the leaders are telling them! Listen: "The principal factor of success in the political is the secrecy of its undertakings: the word should not agree with the deeds of the diplomat." We should not be too surprised when the actions of our government cannot be understood - their reasoning is intentionally kept secret from us. Turning Humanity Upside Down With Their Beautiful and Powerful Rhetoric! President Clinton, aided by Vice-President Al Gore, spent the entire eight years of his presidency expounding such great problems that have "turned humanity upside down". Clinton-Gore propounded Environmental Issues such as Global Warming, Loss of Habitat, Species Extinction, and many other environmental concerns. However, Bush-Ashcroft seized upon their role in the final push for world government -- Global Terrorism. This mantra is continued under President Bush who asserts every day that Global Terrorism has "turned humanity upside down". The majority of Americans have no idea they have been "stage-managed" according to a "political plan" which has been ongoing now for over two centuries! The American Public Educational System has done its dirty job, of graduating citizens who cannot read or write enough to pay attention to what is going on. Today's citizens are also not schooled in Critical Thinking Skills, and they do not know enough history to realize the trap into which Bush-Ashcroft are leading us! On paper, President Bush has all the dictatorial powers Stalin ever possessed. He simply has not chosen to activate these powers just yet. When people begin getting knocks on their doors at midnight, with arrest orders signed by Homeland Security, they will too late know they have signed their own death warrant. At that time, America's freedoms and Constitutional guarantees, will be abolished; and all by a Christian, Compassionate, Conservative Republican Administration who waxed hot and heavy rhetorically by saying that our war on Terrorism cannot be waged at the expense of our liberties! How ironic! Every American needs to understand that the entire national press is controlled, and is simply giving you the "news" you are supposed to have. Very soon, all alternative sources of news, including this website, will be shut down. That time draws ever closer. Now, you know why the Sunday Morning TV programming is full of "Talking Heads" that so fill the airwaves with opinions on everything, so that the average person is completely bewildered as to what is the truth! This type of TV programming was foreseen over 100 years ago in The Protocols of the Learned Elders of Zion. Today, the talk is all about Patriotism, blind patriotism. Just as we did with Clinton, so are we doing with Bush today: we are accepting "words for deeds" and "rarely pause to note in the public arena, whether promises are followed by performance". The American people are sheep ready to sheer. "In the hands of the States to-day there is a great force that creates the movement of thought in the people, and that is the Press. The part played by the Press is to keep pointing out requirements supposed to be indispensable ... and to create discontent." [Protocol #2]. The Press is supposed to keep us in turmoil, because the authors of the Protocol firmly believed that "Conflict Brings About Change, and Planned Conflict Brings About Planned Change" [Hegelian Doctrine, first espoused in 1823, by a Freemason giving Professor Hegel the concept]. Since we are moving, by Plan, toward the calculated change of government -- a global, dictatorial government historically unprecedented in power and repression -- then we need a lot of planned conflict fed us daily. Wars, rumors of wars, class conflict, and many more tidbits of Bad News floods our consciousness daily. This is the Plan. Establishing a Dictatorship of "Magnificent Proportions"
Did you catch the kind of dictatorship [despotism] that is planned for every nation? "... a despotism of such magnificent proportions as to be at any moment and in every place in a position to wipe out any... who oppose us by deed or word." Soon, the Bush Administration will be moving against their enemies, in the guise of fighting "Domestic Terrorism", and will be attempting to "wipe them out". Even the CIA is getting into the act of spying on Americans domestically [The Christian Science Monitor, December 17, 2001, "CIA expands its watchful eye to U.S."]. The FBI and CIA appear to be joining forces and combining resources to form an American equivalent to the Russian KGB, a most fearsome force against the Russian people for over 70 years of Communist repression. When they came for the Jews, I did not speak up, because I was not Jewish. When they came for the Catholics, I did not speak up because I was not Catholic. And, when they came for me, there was no one left to speak up." An English translation of The Protocols of the Learned Elders of Zion. Next: The World War Overview. Previous:What is the New World Order. � Copyright 2016 and Beyond by ThreeWorldWars.com. All rights reserved.